A man in his 30s is in a critical condition in hospital after he was assaulted in the early hours of this morning in Killorglin, Co Kerry. 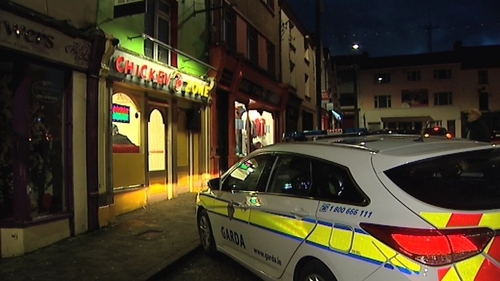 The man who is single and from the mid-Kerry area was socialising with friends in the town when he was involved in an altercation outside a fast-food outlet at the square in Killorglin at around 2.20am. The man received serious head injuries and was unconscious when he was taken by ambulance to University Hospital Kerry. He was transferred from there to Cork University Hospital where his condition is described as critical. The scene at the square in Killorglin was preserved overnight and was forensically examined earlier today. Gardaí said a full investigation is now under way. They believe there was a large number of people in the area when the assault occurred. Gardaí said they have already spoken to a number of witnesses but are anxious to speak to others who may not have come forward as yet. They are also appealing to taxi drivers and other motorists who may have 'dash-cam' footage or members of the public who may have footage of the incident or its aftermath on their phones. They said they are pleased with the progress of the investigation and are following a particular line of investigation at this time. Anyone with information is asked to contact Killarney Garda Station on 064-6671160, the Garda Confidential Line on 1800 666 111 or any garda station.